Jakarta - The Corruption Eradication Commission (KPK) informs the State Organizational Assets Report (LHKPN) of Presidential Candidate Joko Widodo to be fully verified. Jakarta - Minister of Administrative Reform and Reform of the Bureaucracy Syafruddin said he would complete the work program of his predecessor Asman Abnur until the end of the 2019 term. 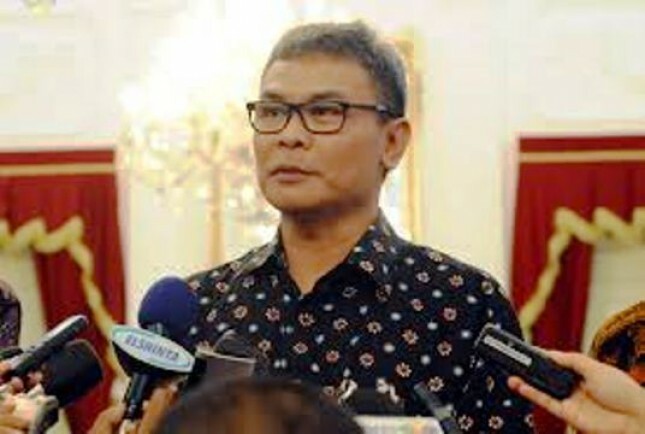 Jakarta - Police Chief of Police General Tito Karnavian admitted that he had not yet determined Syafruddin's successor to assume the position of Deputy Chief of Police. Jakarta - Vice President Jusuf Kalla is willing to go to the advisory board of the campaign team for the pair of presidential and vice presidential candidates Joko Widodo and Ma'ruf Amin. President Joko Widodo met with US Secretary of State Michael Richard Pompeo at the Merdeka Palace on Sunday (08/08/2018) to discuss a number of bilateral and international issues. Jakarta - Chairperson of the Indonesian Ulema Council (MUI) Ma'ruf Amin hopes that Dhikr and Prayer for the Nation at the Merdeka Palace, Jakarta can bring blessings to the nation. Bandung - West Java Provincial People's Legislative Assembly (DPRD) affirms, the regulation of non-smoking areas should refer to Government Regulation (PP) 109 of 2012. Karawang - Chairman of DPD I Golkar Party of West Java Dedi Mulyadi ensure legislative candidates from his party clean and no one ex-prisoners of corruption. Jakarta - Democrat Deputy General Chairman Syarief Hasan said Democrat General Chairman Susilo Bambang Yudhoyono and Gerindra General Chairwoman Prabowo Subianto would have a four-way dialogue. Jakarta- President Joko Widodo, Monday night, is scheduled to meet with six general chairpersons of his coalition member party in Bogor Palace. Jakarta - The National Movement of the Ulama Fatwa Guards [GNPF Ulama] will hold a'jima 'of Ulama and National Figures. The event was insha Allah will be held on 27-29 July. Jakarta, Minister of Industry who is also Chairman of Golkar Party Airlangga Hartarto held a meeting with PDIP Chairman Megawati Soekarno, Monday (16/7/2018) yesterday.